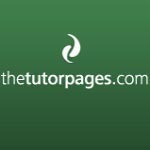 Thetutorpages.com not only helps students make direct contact with French tutors across the UK for one-to-one or group lessons, but also provides dozens of articles about learning French. That’s because each tutor who registers with them writes at least one article on their specialist subject. There are articles on learning French and also on academic subjects such as GCSE and A-level French. The Tutor Pages is not only for learning languages, but covers all sorts of academic subjects such as Maths and English and musical instruments such as guitar, piano and violin. It is the only tutor directory recommended by The Good Schools Guide. I can only imagine the pressure. These rich-lings spend thousands (milliions?) just to find a tutor that they think is up to their mega-rich standards. I wonder what the qualifications are? I got my son's tutor from Preply.com ( http://preply.com/en ) and as long as he keeps my son's grades up, I'm a happy customer.